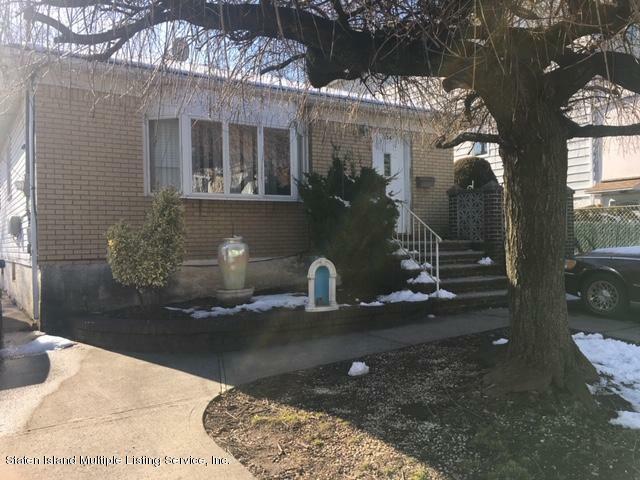 Brick front ranch minutes to Verrazano Bridge. 3 bedrooms, living room, dining room, big bathrooms, finished tiled basement w/entrance & 3/4 steam shower bathroom. 4 car parking. A commuters dream. Express bus & shopping. Being sold ''As Is''.